Walking football is the chance for people who aren't as mobile, to get involved in the game. There is simply no running in this game. However, you still have all the banter, friendship and camaraderie that comes with playing football. The game has grown over the past few years and I'm sure many have seen the advert from Barclays showing people playing. There is now a European and a World tournament for walking football. Our Walking Football sessions run on a Tuesday morning from 11:30 to 12:30. 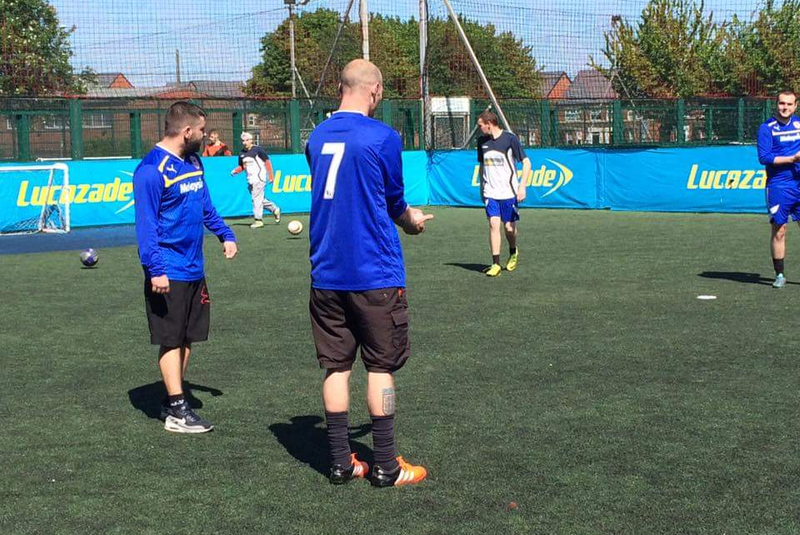 We play at Power League Liverpool, formally known as the Pitz in Kirkdale. We started the sessions with some staying from our earlier games. We have had participants turn up with their support workers, this works well with getting people out and about and engaging within their communities. Everyone who gets involved worked well with each other and gained support from people who don't judge. The sessions always start with a warm-up, then skills, fun games and into a competitive match. Everyone engages fully, even those who are less mobile or of lesser ability. Such is the camaraderie among the service users that they have included and tailored their own game to include and accommodate each and every attendee. For some that have been attending consistently, they have themselves said that they feel fitter and in a much better place. The coaches have commented that they have seen the health and mental well being improve in those that attend regularly. Want to Play Walking Football? Do you have an interest in playing walking football? Or maybe you know someone who could benefit? The best thing to do is to contact us on 0151 237 3986. One of our friendly staff will help you out and let you know exactly what you need to do to get involved. We welcome people of all ages and backgrounds. These sessions are for the people of Merseyside, please come along and try it out. If you're not too confident on the telephone then that's no problem. You can fill in our contact form and one of the team will email you back with further information.